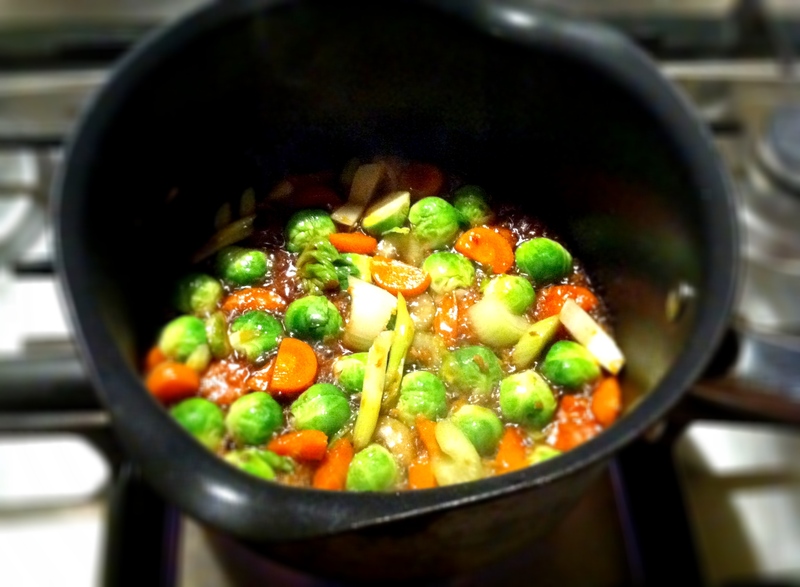 Stir fried brussels sprouts, yes, SPROUTS! Brussels sprouts are so fab! Are you in the love ’em or hate ’em camp? I love brussels sprouts. Absolutely 100% adore them. 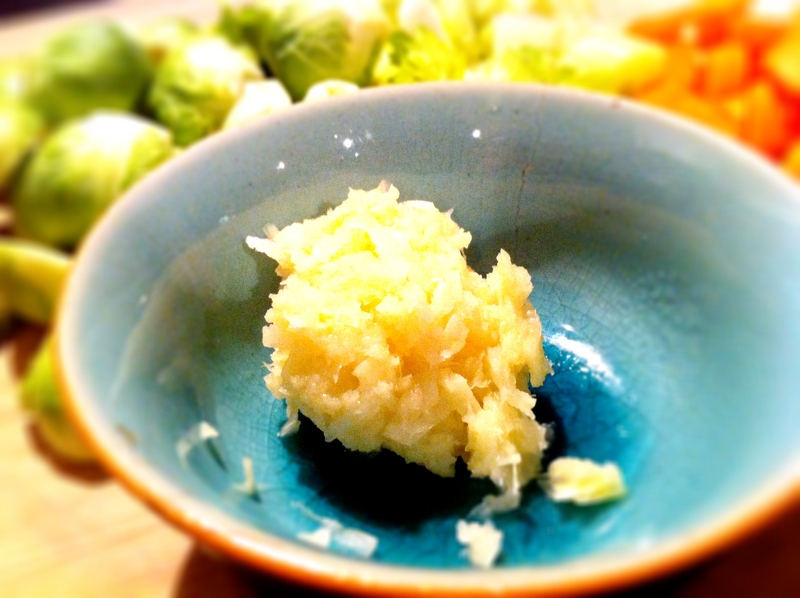 Sadly though, eating sprouts in our house is a lonely affair; as in if I cook them, I’ll be the only one eating them. However, I can’t stomach them if they’re boiled – YUCK! – and I think the only way they should be cooked is my way (or course haha) and that’s stir fried so that they’re still crisp and slightly crunchy. My husband hates them with a passion but he used to eat them when I stir fried them. At the time, he said he didn’t mind them as much when I stir fried them but he fessed up recently and told me that he still hates them. He only used to tell me that stir fried sprouts were ok all those years ago so he wouldn’t hurt my feelings. Says it’s nothing against my cooking but he can’t lie anymore, he still hates sprouts. Sigh. Sounds good yet the sauce sounds a little unconventional..? have yet to attempt cooking brussel sprouts! any other suggestions on how to cook them? Gordon Ramsay fries lardons until crispy and then adds cooked chestnuts and shredded Brussels sprouts. Once the sprouts go in, he only fries them for about a minute before adding a glug of double cream and seasoning it with some black pepper. I haven’t tried making them this way yet but it did look good if a little unhealthy given the bacon, fat and cream. ooh thanks! Sounds good actually though a little sinful! Sounds lovely, will give it a try. What is Mirin? Can I use a substitute in the kitchen? Mirin’s a kind of Sweet Japanese wine. I’ve been told you can replace this with either sake (another Japanese rice wine) or try diluting some rice vinegar with water and sugar. Hate them, I’m afraid. Though I am coming round… I always think they look delicious though. Don’t let her tempt you, for they are the spawn of the devil! No, seriously, they’re not bad, but you know that specific ‘brussels sprouts’ bitterness you get? It’s still there.. I think that should work fine. I’ve never tried using abalone sauce myself but am adding that to my shopping list the next time I visit my Chinese grocery shop. I’m actually in the LOVE camp! I read somewhere that if you score the bottom of the stem in an “X” pattern they won’t be bitter, not sure if it is true. I usually pair ours with a little bacon, YUM! Yay, more sprout lovers! We have to stick together against all the sprout haters. OMG, I want to eat my screen! 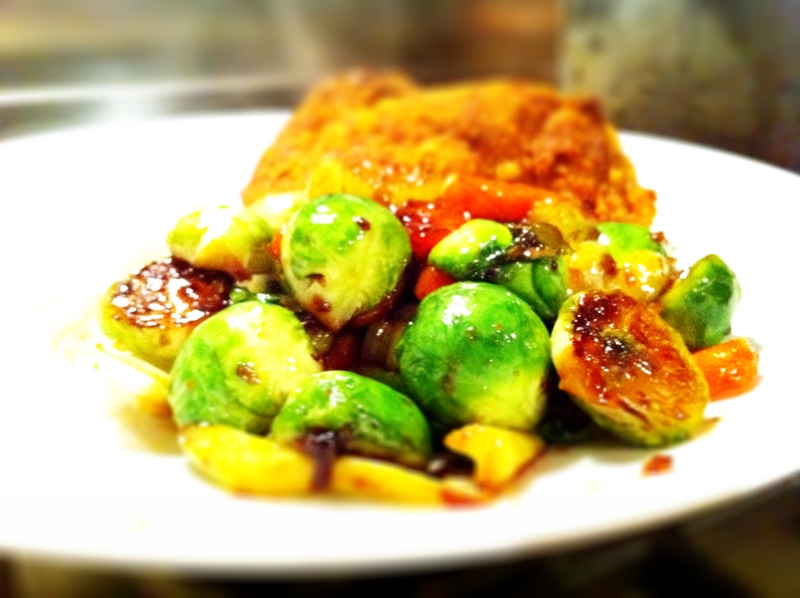 I love brussel sprouts and this recipe looks amazing. Thanks for always inspiring me! Wow, you do love sprouts. Me tooooo! I have started to realize some of the foods I dislike I need to try again. Either I or someone else cooked them wrong in the first place and ended up with a dislike. I think I need to try new foods a few times before throwing them into the dislike category. I LOVE sprouts! I don’t get why some ppl hate them so much. I’ve never seen a stir fry with bussel sprouts before, but I am LOVING this! 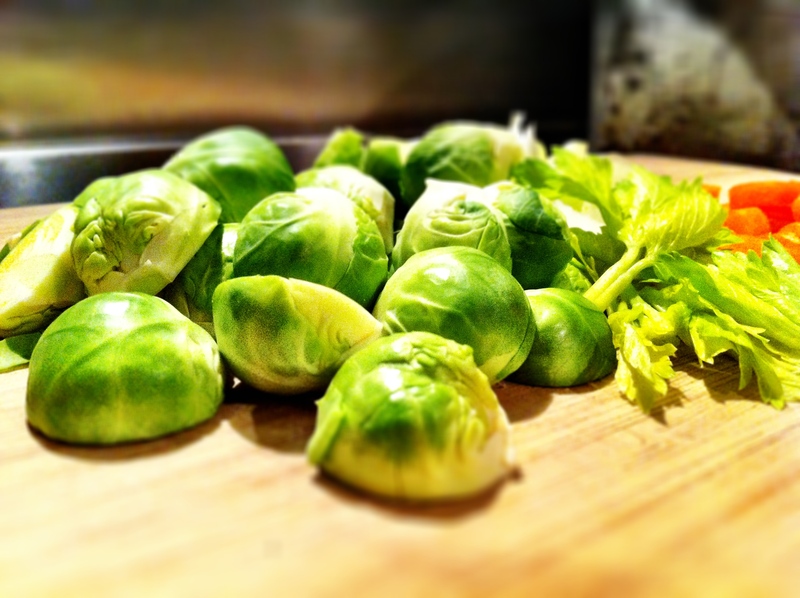 I love brussel sprouts and even enjoyed them boiled served with salt, pepper and butter. You’re certainly braver than I am then. I could probably just about eat them boiled but only if they are smothered in butter lol. I’m in the love them group. I eat them so many ways but never with Asian flavors. Can’t wait to try them that way. Happy that I stopped by for a visit to find your recipe. Cool. Another blogger shreds sprouts and turns it into a salad. Am now really glad I posted something about sprouts because I love em too. Hello there, I am so happy you found me and my “Buddha’s Hand” blog entry at Food on Fifth. 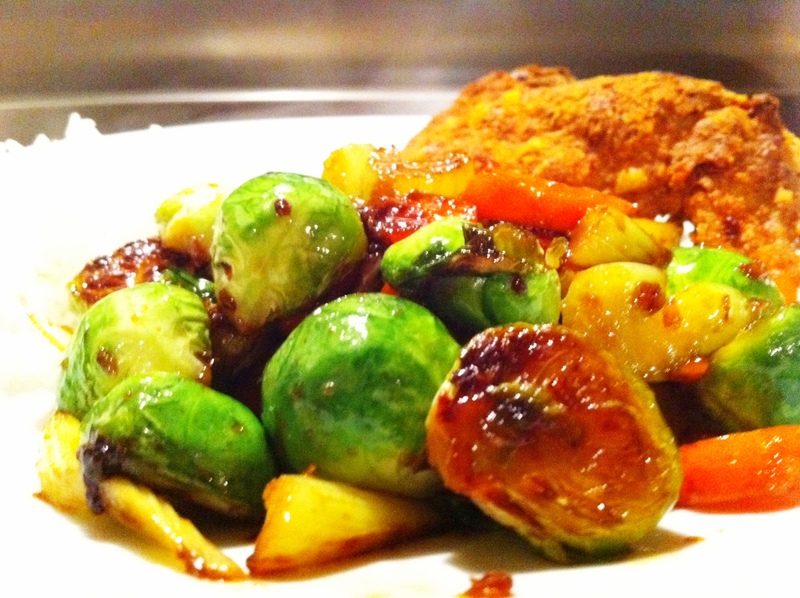 I love, love, love brussel’s sprouts any way they are cooked. We eat them often and your recipe looks delicious & yummy. Thanks again and I look forward to following your blog from now on. Happy New Year. Happy new year, and thanks for coming by my blog! How can he not love butternut? 🙂 that’s one of my faces too. We have one waiting to be cooked in my kitchen right now. I love them too! I recently posted about the purple ones. And I totally agree with you, they need to be fried! We tried the purple sprouts and I found them a bit too bitter, I didn’t stir fry them so I might have to try them again.